Thanks to the generous sponsorship of United Living, the team travelled to the final in Caterham in style on their own team coach – after a breakfast provided by the wonderful team at Commonside Trust. 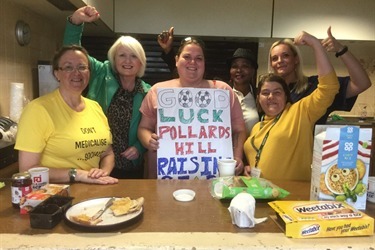 With supporters from across Pollards Hill cheering the team on, the boys put in a magnificent performance but unfortunately the luck went against them in the final. Congratulations to the incredible PCSO John Joseph for his fantastic leadership and for putting behaviour, attitude, team work and work ethic at the heart of his coaching. The team did Pollards Hill proud.